There were foreclosures of my home and my rental property at the same time. I was not sent a notice for one of the hearings, but that made no difference to the court. Legal issues are disregarded by courts, in my experience, if the party raising them is pro se. Lawyers can lie in court, trample the rules, and win. Pro Se parties are victimized by corrupt courts. Deutsche Lawyer Lies ~ Read more. Hiring a lawyer does not always make a difference. Courts appear to be prejudiced in favor of banks. Me spending $7,000 on lawyers to save my condo, was a total waste since the court clearly favored Deutsche bank and its lawyer. So, besides the legal basis for my objection, I described what the court’s actions were doing to my nerves and my health. You may not be able to win against lying lawyers in a corrupt court, but you can learn how to better protect your nerves and your health. Don’t let a corrupt legal system take your health. This is a somewhat long video, but it’s worth your time. GE Capital Mortgage Services, Inc.
Karen M. Kline, Et. al. 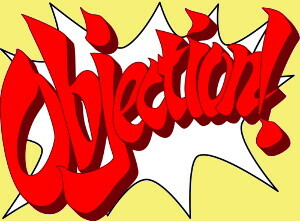 Rule 1-058 says a reasonable opportunity to examine the order and make suggestions or objections shall be afforded. In statutory language, “shall” is a word carrying a mandatory message. It imposes a duty. Entry of the Order, December 17, 2004, 9 days after the hearing violates rule 1-058 because it did not afford me a reasonable opportunity to examine the order and make suggestions or objections, and therefore Entry exceeds judicial discretion. Rule 1-006 says that when the period of time prescribed or allowed is less than eleven days, intermediate Saturdays, Sundays and legal holidays shall be excluded in the computation, and it says that additional time shall be added, and that time is 3 days. Entry of Order, December 17, 2004, 9 days after the hearing and in violation of Rule 1-058, also violates Rule 1-006 because such entry failed to allow me the time given by the rules to accommodate delivery by mail of the proposed order. LR1-304 says that orders will be submitted to the judge by the prevailing party. Since the Entered Order complained of was submitted by Shapiro & Meinhold, it appears they prevailed, so it appears that a hearing was held when in fact I had asked for a continuance to accommodate my disability and to make up for effective lack of notice. LR1-304 says that Orders will not be signed by the judge unless the order bears the signatures or initials for all parties to the cause. I did not sign or initial the Order, and I am a party to the cause. Therefore the Order should not have been signed, much less Entered. LR1-304 says that in matters where a party appears pro se, the preparing attorney needs to send notice to the pro se party that objections much be received by the court in writing in 10 days… but no such notice was given to me, the pro se party; and it was patently clear to the judge that I had not had 10 days given that the judge signed and entered the Order only 9 days after the hearing. LR1-304 provides for a presentment hearing for the apparent purpose of satisfying the requirement that all parties sign or initial or in some other way have opportunity to be heard in relation to the Order. Because I made clear in my motion for enlargement of time that I only get mail when someone comes to help me, and that is once a week, there was evident a need for enlargement of time for me to file my objections to the proposed order, among which is the need for time to deal with each pleading separately because otherwise my mind does not keep them straight and I confuse them as a result of my disability. The Adult Protective Services social worker who helps me while I am bed bound faxed her statement about my condition to the court before the December 8, 2004 hearing. The notice of hearing and the hearing from which the order emanated violated the same rules. Additionally, I alleged in my third party complaint that I am a disabled American and I claimed my rights under the ADA, Title II. The applicable Standard of Review says, “all well-pleaded factual allegations in the … complaint are accepted as true and viewed in the light most favorable to the nonmoving party.” Sutton v. Utah State Sch. For Deaf & Blind, 173, F.3d 1226, 1236 (10th Cir. 1999.) In the “light most favorable,” my allegation in my Complaint of my mental disability and qualification under the ADA are sufficient and should have been “accepted as true.” Ibid. Fundamentally, it is well settled that the allegations in my complaint must be accepted as true; the United States Supreme Court has said, “At this pleading stage, petitioner’s allegations must be accepted as true and his complaint may be dismissed ‘only if it is clear that no relief could be granted under any set of facts that could be proved consistent with the allegations.’ Hishon v. King & Spaulding, 467 U.S. 69, 73 (1984); Conley v. Gibson, 355 U.S. 41, 45 -46 (1957).” Breininger v. Sheet Metal Workers, 493 U.S. 67 (1989). Supreme Court precedent being what it is, it follows that if my allegations of fact in my complaint for relief from third party defendants must be accepted as true, then this court is obliged to accommodate my disability under the ADA, Title II, because I alleged my disability in my complaint, and accommodation is required by law. Therefore, this Court must give me more time, rather than less, and it must do this without asking me to prove to the Court that I have a disability. The fact of my disability has been alleged in my complaint and must be accepted as true. Less than a month ago researcher Elissa Epel, PhD, a professor of psychiatry at the University of California at San Francisco (UCSF), had her study proving stress damages the body at cell level appear in Proceedings of the National Academy of Sciences. This is the first time that a definitive connection between stress and failing health has been identified. In the study, Epel and her colleagues examine one sign of biological aging: tiny segments of DNA and protein, called telomeres, at the ends of chromosomes. When a cell divides, part of this DNA erodes. Epel explains that after many cell divisions, so much DNA is missing and the telomeres are so short that the aged cell stops dividing. The reason that I am writing about this to the Court, is that when the Court gave me so little notice of the December 8, 2004 hearing, I had massive debilitation due to the stress because there is no hope for me if the laws which are meant to protect me are disregarded; also, when defendants have treated me as I have clearly alleged in my third party complaint seeking relief, they have caused me severe ill health by means of the unbearable stress they placed on me. Do you ever wonder how poor, damaged people like me have access to justice? Perhaps you don’t. But the fact is that the legal system substantially denies them access. I believe that if the law were equally available to right wrongs for the poor, as for the very wealthy who now have 90% of the money in America, that there would be fewer gunmen mowing down masses of people. Just think of the number of “disgruntled” who take up arms. That number could be reduced significantly if those people could take to the law and have their day in court. But certainly the courts do not send that message. To deny me access to Justice is not acceptable. I have been damaged by the defendants, and I do not expect, nor will I accept, being damaged by the Court to which I turn for help. Quoting from Epel’s work published in 1998, “We draw from psychoneuroendocrine research to show that in response to stressors, certain styles of cognitive appraisal and perceptions of control can transform the effects of stress arousal from potentially damaging to health enhancing.” The idea is that when there is a perception of control in the situation, the effects of stress are lessened. What that means in the legal context, is that when I am damaged and believe I can go to the Court for relief, my health is safeguarded because I am not helpless. Conversely, when the control is denied by means of making the system inaccessible, the stress is damaging to my health because I perceive the situation as something about which I can do nothing. The denial itself makes the situation ever so much worse. I am asking you to take this into consideration in my case and all cases that come before the Court. The wealthy lender, condo association, firm of lawyers, developer or whoever, should not be causing damage by using the Court to increase the stress brought to bear on injured and damaged parties. WHEREFORE, I pray that this Court vacate entry of its order and whatever other relief is right and just..